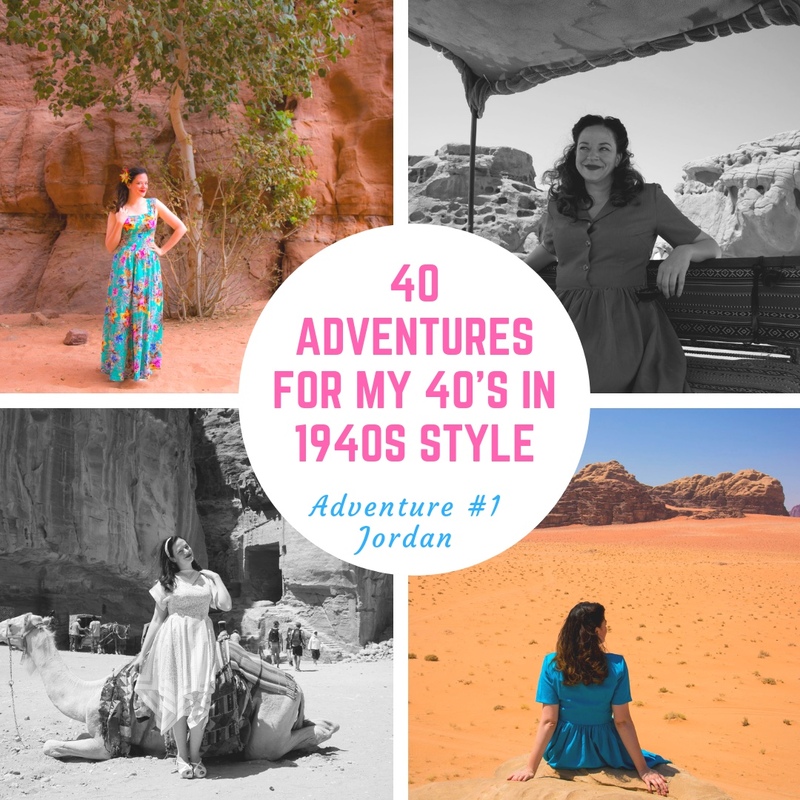 So excited that the first adventure from my list was Jordan! I went there for work and it just so happened that my really good friends, Zain and Kinda (who are sisters) were home visiting family as well. 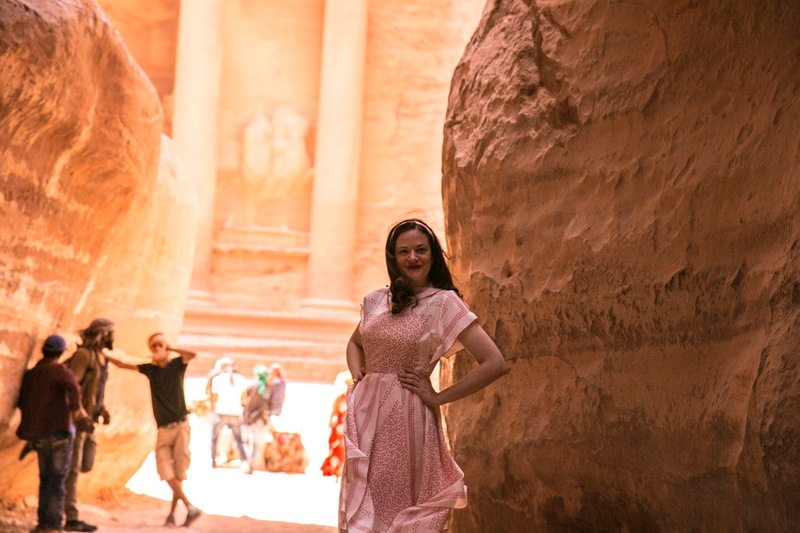 So we were able to spend a fabulous long weekend exploring some amazing sights! This was also my first trip to the Middle East and it was so phenomenal. 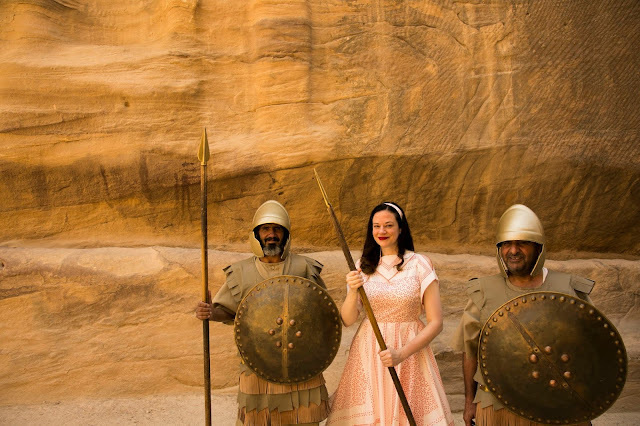 And of course, lots of fun photo opps along the way--including these ancient guards...it would have been so interesting to see this as a functioning city way, way back in the day (it was started in the B.C. years). 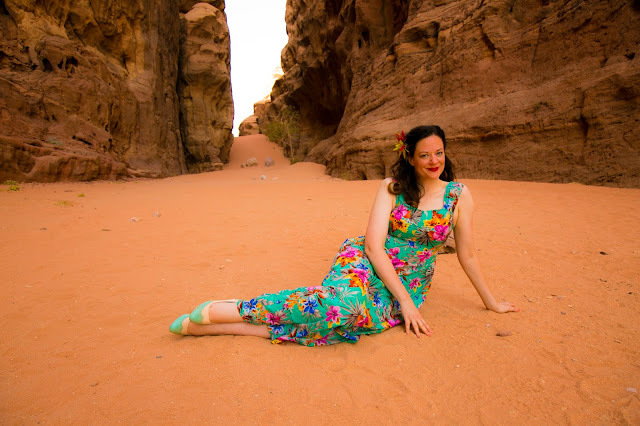 Petra was amazing but just as wonderful was the Wadi Rum Desert. There's something about the desert that I find soothing and awe-inspiring. It's a bit like being near the ocean for me --I love the vastness of the natural beauty! 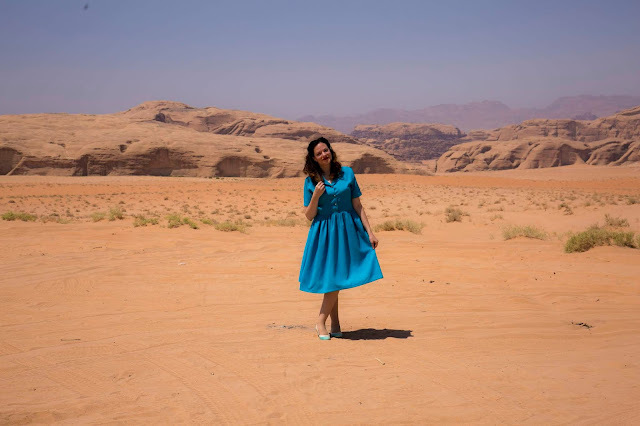 And the Wadi Rum Desert is SO BIG! Lots of neat rock formations...this one is known as the 'elephant'. I think they film quite a few movies in this area that are supposed to be related to 'Mars' and you can see why! It's very otherwordly. 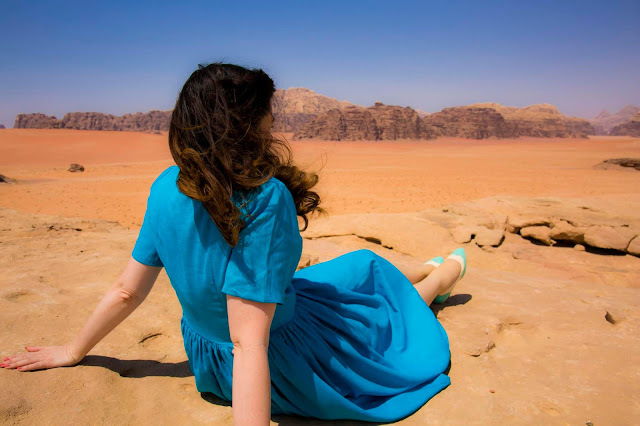 The Wadi Rum Desert has two parts, the 'white' and the 'red' deserts and we visited both. 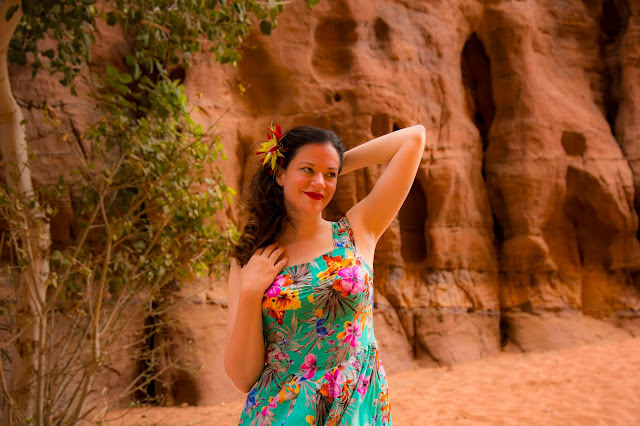 I really like the red desert..
All my outfits are either me-made (McCall 3865 is the dress above and my 1950's 'Desert Dreams' Style Print dress) or vintage and specifically chosen for the climate! 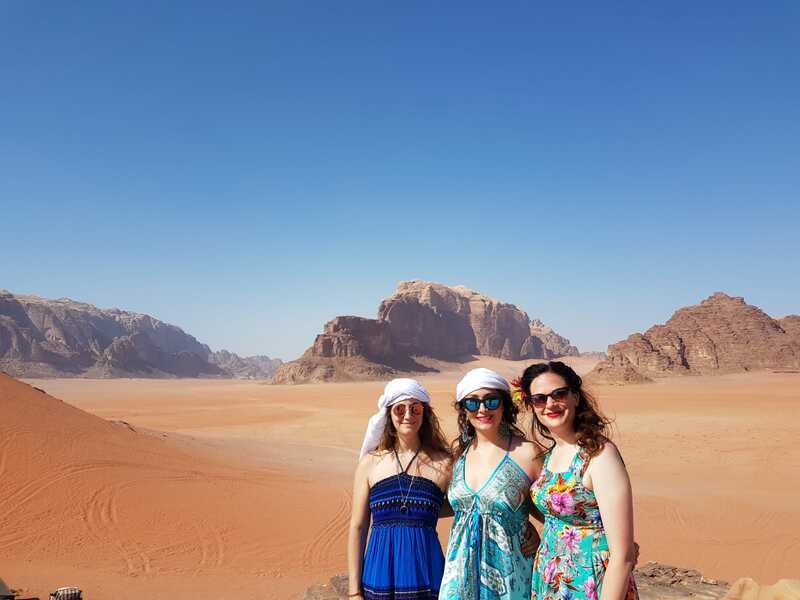 It was so much fun to spend the time in our desert camp with my two great friends! I so can't wait to go back to Jordan!! YAY! So still on my list for Jordan is the Dead Sea--which I will have to make happen on my next trip! What about you? 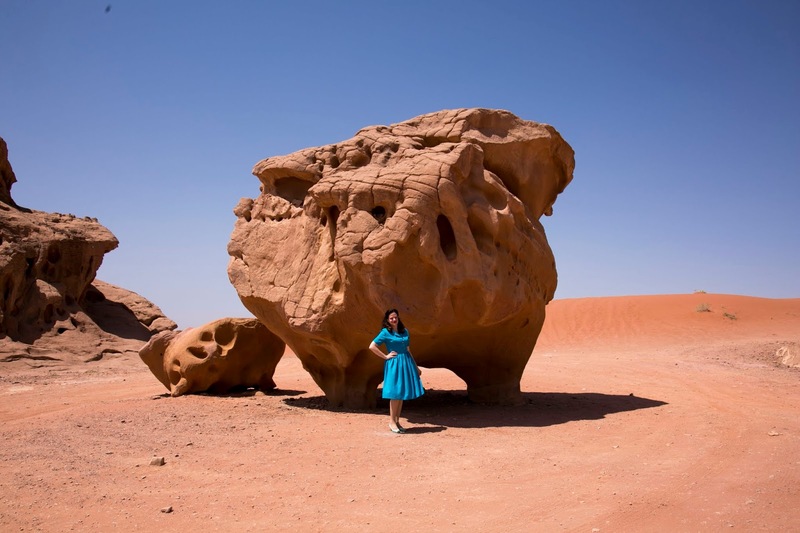 Have you ever been to a desert like this? I have never seen a desert except in film and photo. Never had an opportunity to be away from home much. I did live for some time live within easy driving distance of the Florida Everglades, and visited often. I hope to have the chance to read about your visit to Cuba. I think you will enjoy it. Old buildings and old cars! Nice food. Just the setting for your '40s and '50s dresses.